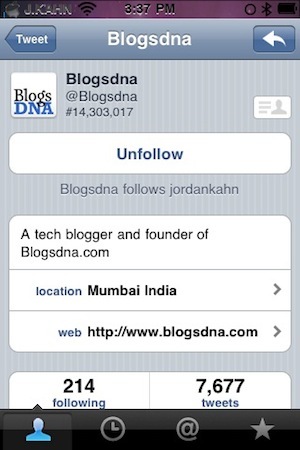 First Look: Official Twitter iPhone App- What's Different Than Tweetie 2? The official Twitter for iPhone app has gone live in App Stores worldwide and may not only be the rebranded Tweetie 2 we thought it was. While this is the first official Twitter iPhone app, its being dubbed Version 3.0, given the fact it is essentially a redesign of the recently acquired Tweetie 2 app. However, it seems that there have been some new features implemented including improved search, in application sign-up, and many other minor tweaks. 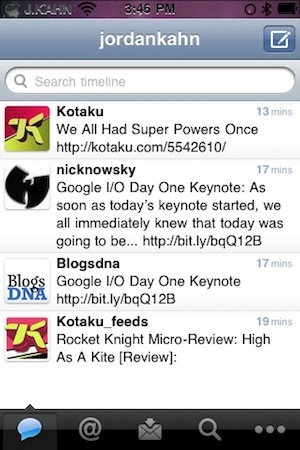 Full list of what’s new in Twitter for iPhone Version 3.0 and screenshots below. There is still no word on a release date for the official Twitter for iPad app, although Twitter has confirmed its in the works. Until then you can use FullForce on your jailbroken iPad to run the Twitter for iPhone app in full screen. Tweetie is now Twitter! We didn’t just do a name change, we’ve added a bunch of new stuff.